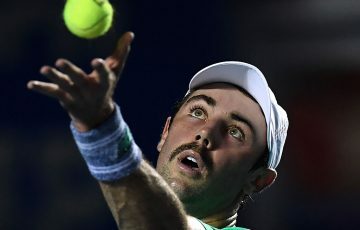 He was oh-so-close, but Jordan Thompson fell just short of an impressive victory against No.27 seed Ivo Karlovic at Roland Garros, falling 12-10 in the fifth set. 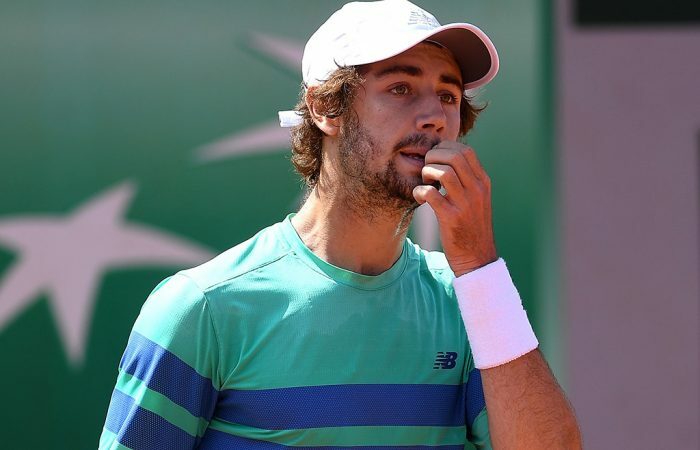 A shattered Jordan Thompson has had his French Open dream end in heartache following a four-and-a-half hour marathon defeat at the hands of Croatian monster Ivo Karlovic. The 22-year-old wildcard showed he belonged at a Grand Slam level and held his own against the 37-year-old 27th seed before being outlasted in a five-set epic 6-7(2) 6-3 7-6(3) 6-7(4) 12-10 in four hours and 31 minutes. 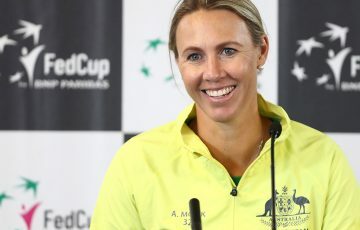 “Going for four-and-a-half hours with a guy ranked in the top 30 – it gives me plenty of confidence being so close to the match for so long,” the impressive youngster said. “There were three tiebreakers so that goes down to the wire. I didn’t let up in any aspect of my game. 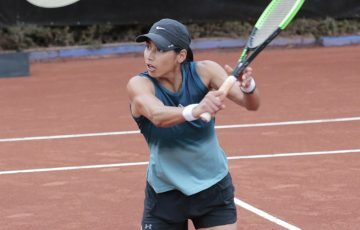 The loss ensures Thompson falls short of the best wildcard effort by an Australian at Roland Garros – Thanasi Kokkinakis’ third-round defeat to Novak Djokovic last year. But he will leave Paris with a record payday of 60,000 euros ($A93,000), a career-high ranking, currently No.87, and a legion of new fans. 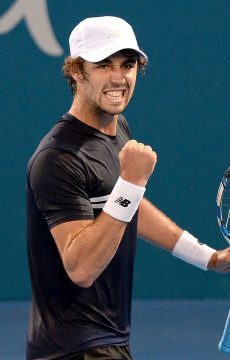 Thompson sniffed an upset when he took the opening set in a tiebreak, but was forced into a scrap once the 211cm Karlovic began to find rhythm with his serve soon after. 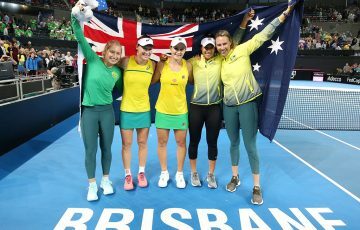 After hitting 57 per cent of his first serves midway through the first set, Karlovic became progressively more proficient as the match went on – serving at 64 per cent in the second and 69 in the third. It made all the difference – Karlovic won 83 per cent of points when his first serve found its mark. And the veteran Croat routinely went to the most dangerous weapon in his arsenal to get out of trouble against the 22-year-old Australian, who earned 10 break points but was able to convert just one. “I was telling myself to hang in there. 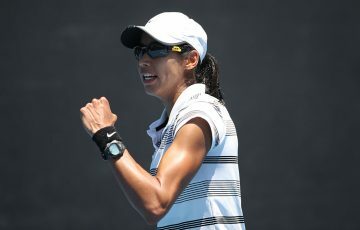 Obviously he’s got one of the best serves on tour,” Thompson said. In all, Karlovic sent down a tournament-high 41 aces and his rocket serves were coming down at an average of 202km/h – by contrast, Thompson’s fastest hit 205km/h. 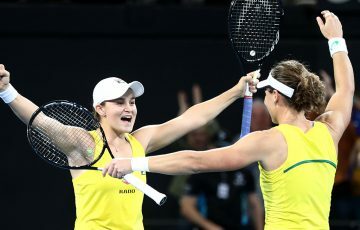 Thompson blew several opportunities late in the fourth set, going from 30-0 up serving for the set at 5-4 to a tiebreak in a matter of minutes. But he recovered to take the tiebreak 7-4 – closing it out with a rare pair of aces – and force a decider. 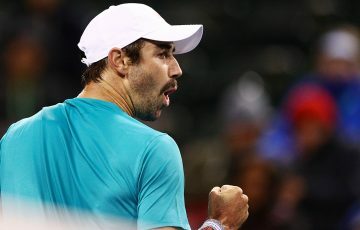 Having been forced to handle Karlovic’s powerful serve all match, Thompson began to exact revenge later on – crucially six of his 12 aces came in the fifth set. Thompson incredibly saved triple break point at 7-all to hold serve and cling to hopes of victory. He twice went within two points of knocking Karlovic out of the tournament – only to have the cagey veteran find a way to stay in the contest. Karlovic eventually broke Thompson with a deep backhand winner in the 21st game and all Thompson could do was stare at the sky before Karlovic sent down three aces to serve out the match.